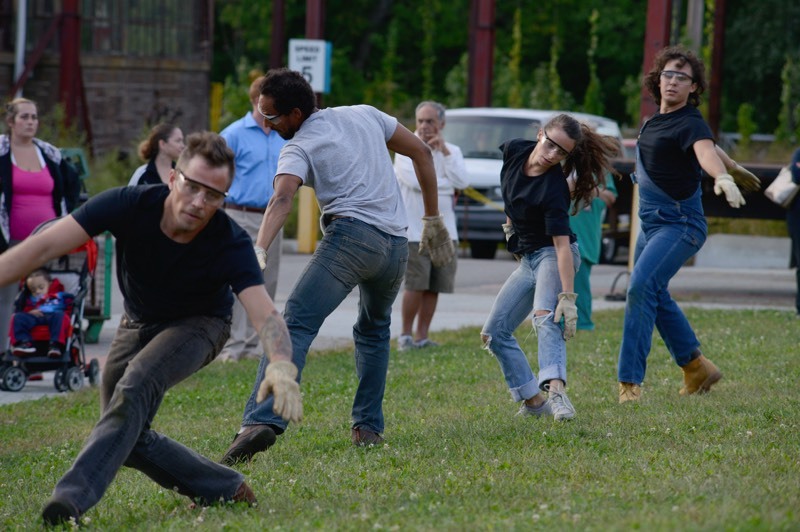 "Marrow" - Choreographer: Tom Pearson, collaborating artists, Bob Rizzo, Monica Schinn & Anna Shapiro, Island moving Company dancers: Brooke DiFrancesco, Carol Tang, Lauren Difede, Glen Lewis, Jose Edwin Gonzalez, Shane Farrell, Spencer G. Hering. 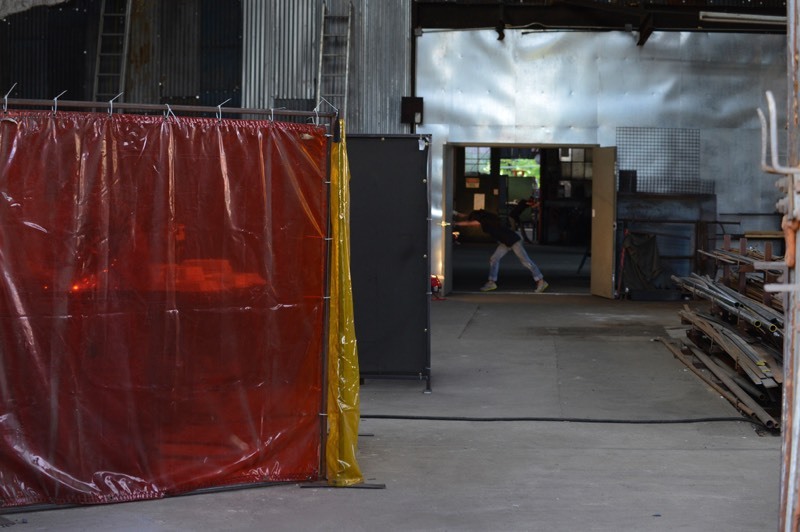 Third Rail Project dancers: Roxanne Kidd, Zoe Schieber. 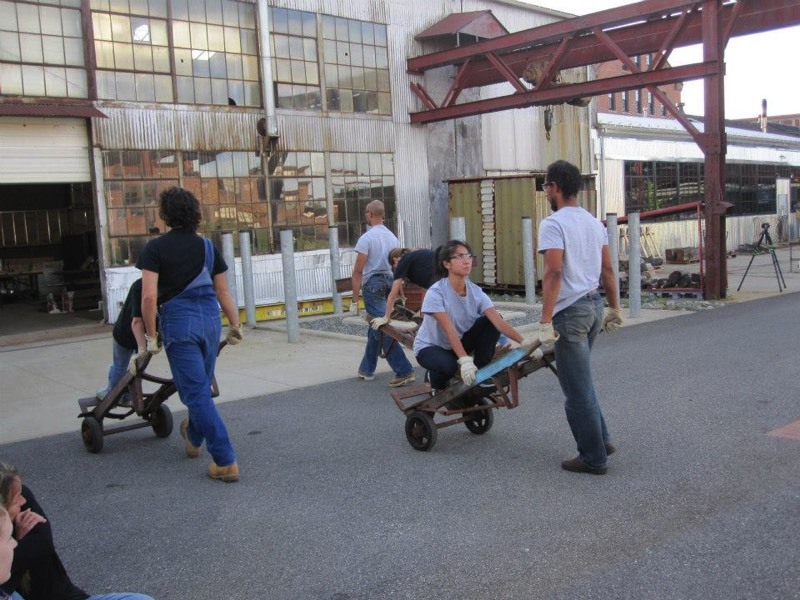 The Steel Yard hosts Island Moving Co.
(of The Steel Yard). 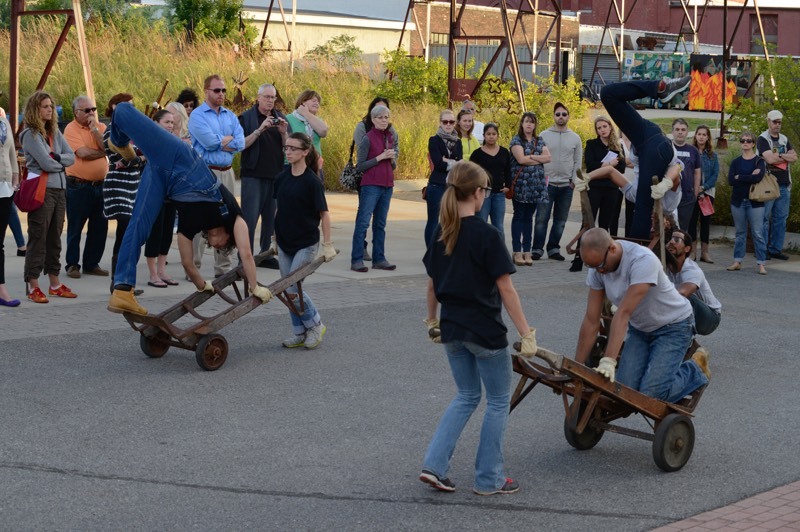 This team of artists will visually integrate the eclectic industrial arts landscape of the Yard into the performance. 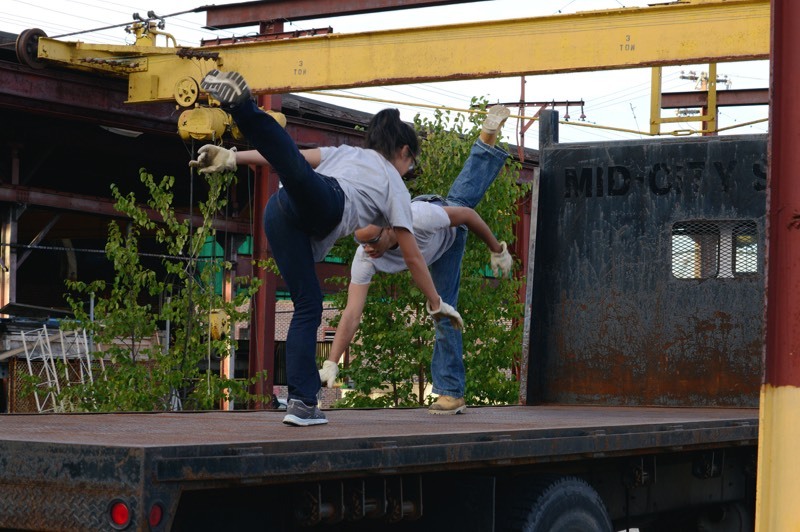 PROVIDENCE, R.I. -- Every couple of years, Newport’s Island Moving Company brings in a choreographer to work with dancers and non-dancers alike, creating a site-specific piece set somewhere in the Newport landscape. The festival, known as Open for Dancing, also involves a guest artist, which in years past have included sculptors, poets and musicians. 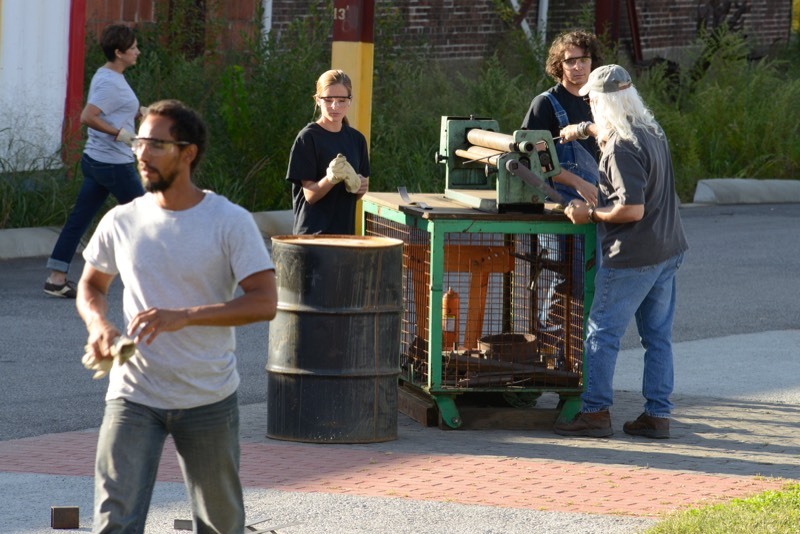 One year, organizers even invited a chef, who ended up staging a flour fight as part of the performance. 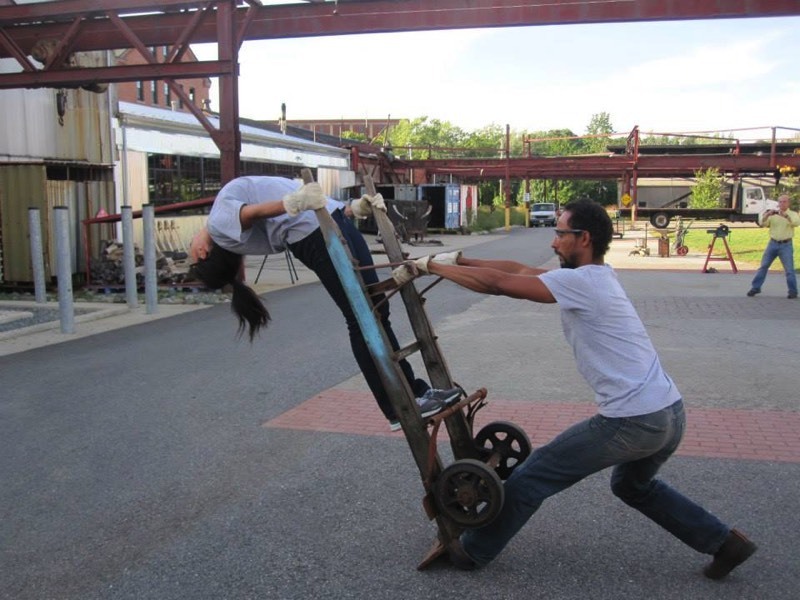 This weekend, Island Moving will be bringing Open for Dancing to Providence for the first time for four free performances at the Steel Yard, the former steel plant on Sims Avenue that is now a thriving artists’ community. 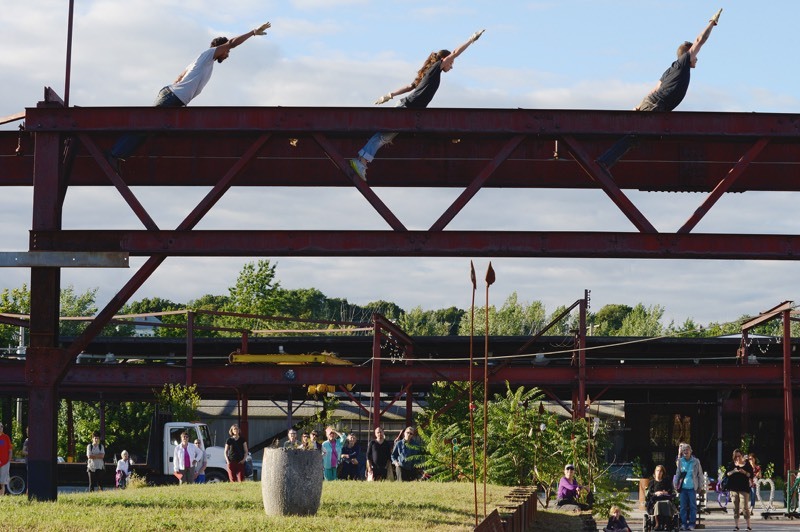 Most of the dance will take place outside, on the grounds of the Steel Yard, where there are sculptures, a landscaped courtyard and an imposing gantry system. 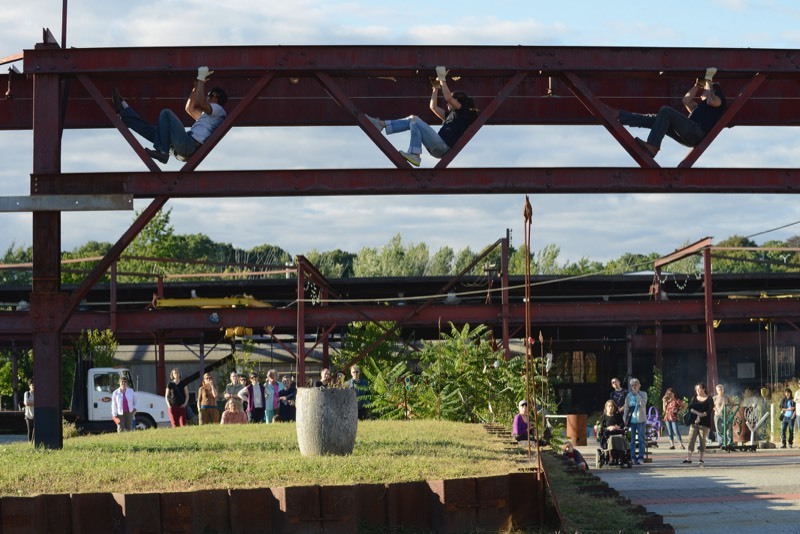 Pearson, who is co-founder of New York’s cutting-edge Third Rail Projects, had visited the Steel Yard before rehearsals began and had an idea for some of the moves he wanted to use. But for the most part the piece is being put together between Wednesday and Saturday, when the first two performances take place. 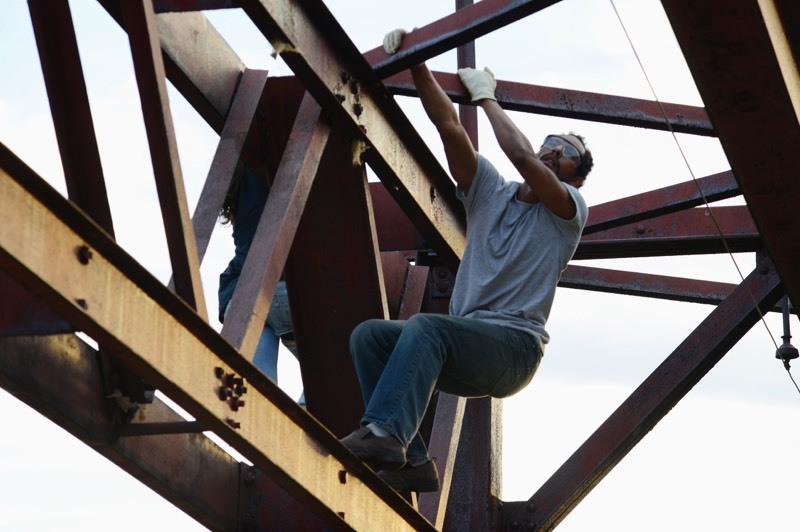 The dance moves will be keyed to the sights and sounds of the yard, to people dragging, hammering and bending metal, to the sounds of grinders and the glow of welding torches. The piece, which will last about 25 minutes, involves eight Island Moving members, two dancers from Third Rail, and half-dozen student dancers from the Trinity Academy for the Performing Arts, a charter school in Providence’s West End. In Newport, Island Moving enlists people with little or no dance experience. But for this first trip outside Newport, the company thought it needed “some kind of parameters,” said Island Moving executive director Dominique Alfandre. 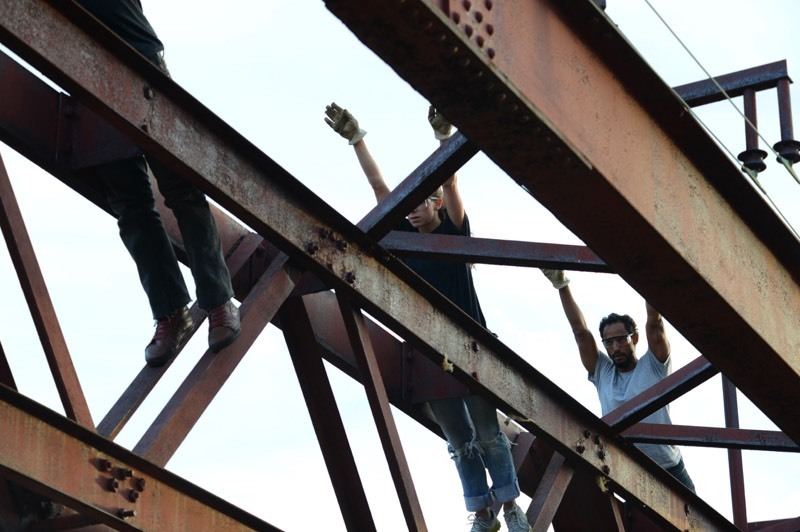 Pearson, who said he wanted to take dance out of the theater into the community, does a lot of site-specific work, or dance tailored to a particular location. 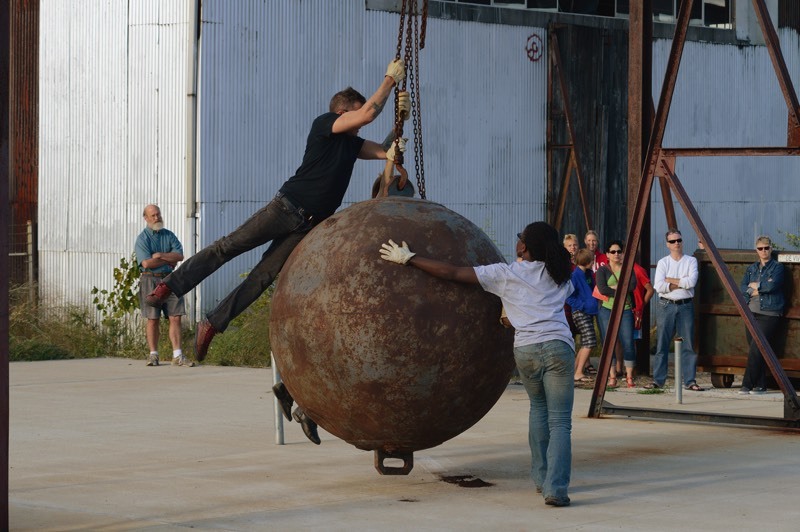 For his piece in Providence, Pearson said he hopes to have an artist fabricating something during the performance. 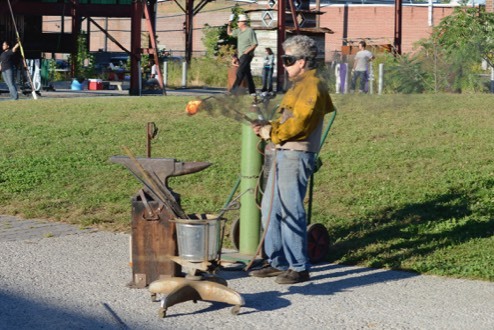 He said he wants to “build a vocabulary on the physical actions and properties of metal.” The performances might use the ambient lighting from a welder’s torch, he said, and the sound of metal on metal. 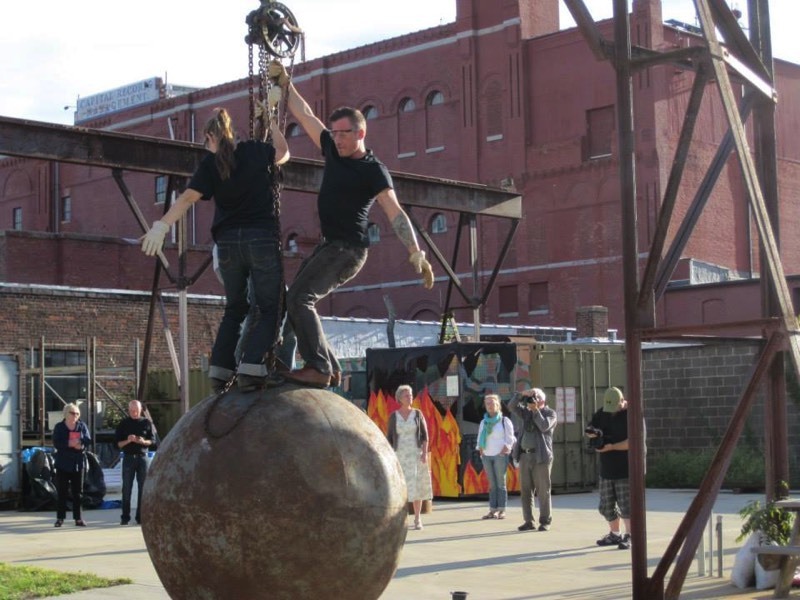 Performances are Saturday and Sunday at 5 and 6 p.m., and they are free. 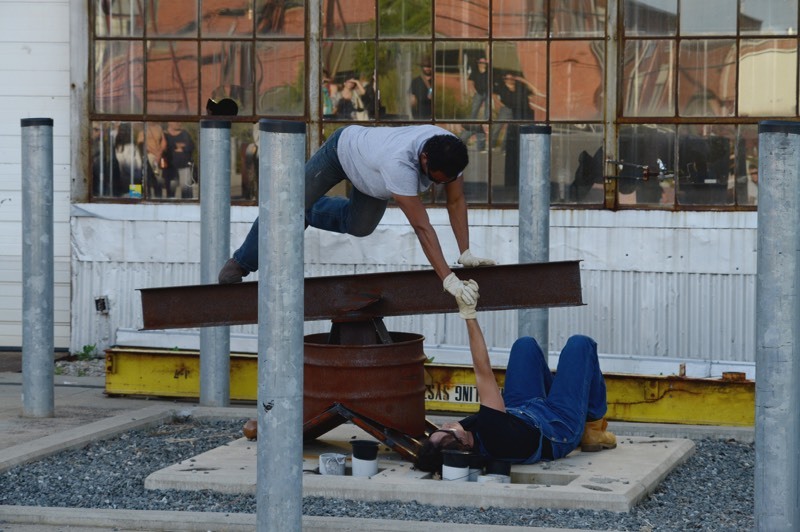 The Steel Yard is at 27 Sims Ave. in Providence. 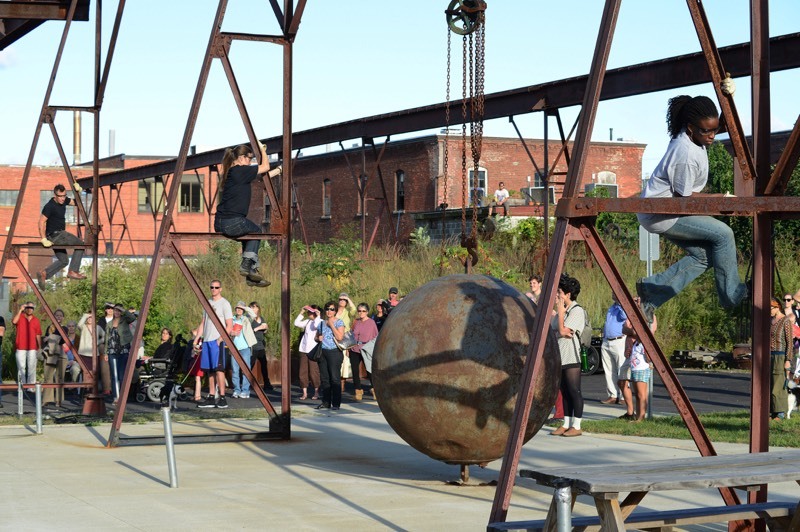 Meanwhile, Open for Dancing continues Sept. 18-22, when three choreographers create dances for spaces in Newport. 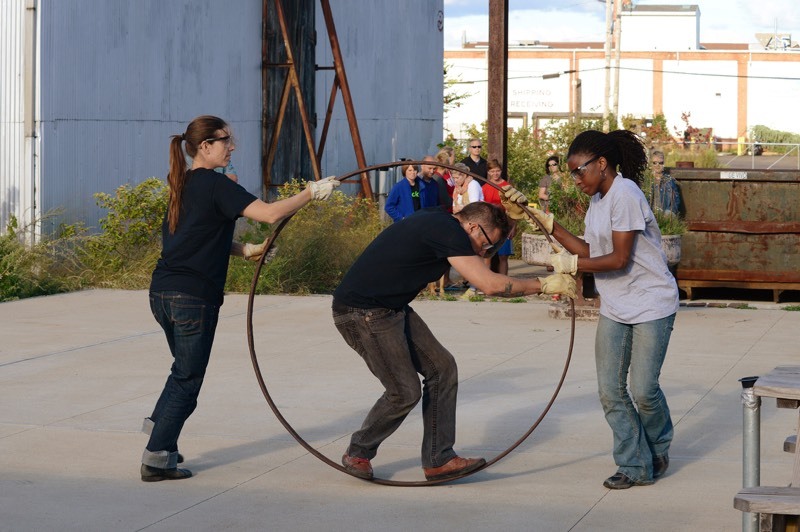 Yanira Castro has picked the gutted interior of the Opera House in Washington Square; Deborah Lohse is using the labyrinth outside Salve Regina’s McKillop Library; and John-Mark Owen will create a dance drama on the terraces of Middletown’s Gray Craig estate.